Southeast Michigan is known for its beautiful cities, vibrant art and culinary scene, and rich history. In an area like Oakland County there is something for everyone, even the avid outdoor adventurer. In an area that is most known for its cities and buildings, it may be tough to find some of the outdoor hidden gems and delights nearby. Luckily, in this blog, we are going to share some great outdoor spots to get your natural fix that every outdoor adventurer and explorer craves. Highland Recreation Area is certainly a great spot for any lover of the outdoors, offering 5,900 acres of dense forest, marshes, and lakes right in the beautiful rolling hills of Southern Michigan. Here you will find trails to accommodate horseback riders, mountain bikes, skiers, and hikes, there is something here for everyone, no matter what season. 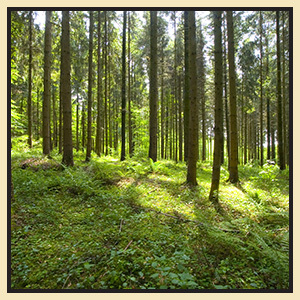 Go for a swim or fish in the lakes, hike the trails, and get lost in the natural recreation area. The springtime offers great bird watching opportunities and the best time to view the beautiful spring wildflowers. Located in an area that is home to over 10,000 businesses, there is a hidden gem that adds a ton of value to the city. Known as “a pot of urban gold for those with a love of nature,” the 42-acre preserve is full of trailheads, ponds, lakes, viewing platforms, and wildlife. As John Muir wrote, “In every walk with nature, one receives far more than he seeks,” something you will likely experience when visiting this beautiful natural preserve. With some of the steepest hills and most rugged terrain in the region, Bald Mountain Recreation Area is one of the most picturesque parks! This recreation area covers 4,637 acres, with multiple picnic areas, a shooting range, extensive hunting areas, several fishing lakes, two trout streams, a sandy beach area perfect for swimming, and 15 miles of marked hiking and biking trails. Most known for its eight miles of cross-country skiing trails, snowmobiling, sledding and ice fishing, you can expect this area to be busy this upcoming winter. With all the extensive trails, inland lakes, trout streams, and wild game there are recreation opportunities for everyone all year long. Located in West Bloomfield, TreeRunner Adventure Park is a way to have some fun and experience the perfect outdoor adventure. With over 165 exciting obstacles and zip lines, five difficulty levels, and 10 different courses, there is plenty to explore at our premier aerial adventure park! Whether you are by yourself or with friends or family, you can come and enjoy outdoor obstacle courses of various degrees of difficulty while being suspended in the tree canopy. There are plenty of places to experience the great outdoors in Oakland County. 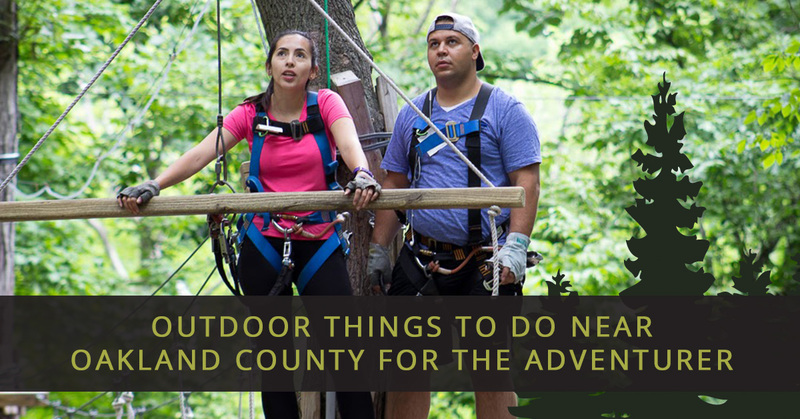 However, if you are looking for a fun and unique experience, you’ll be sure to enjoy your time spent at TreeRunner Adventure Park in West Bloomfield. To book your aerial adventure park experience, contact us today!